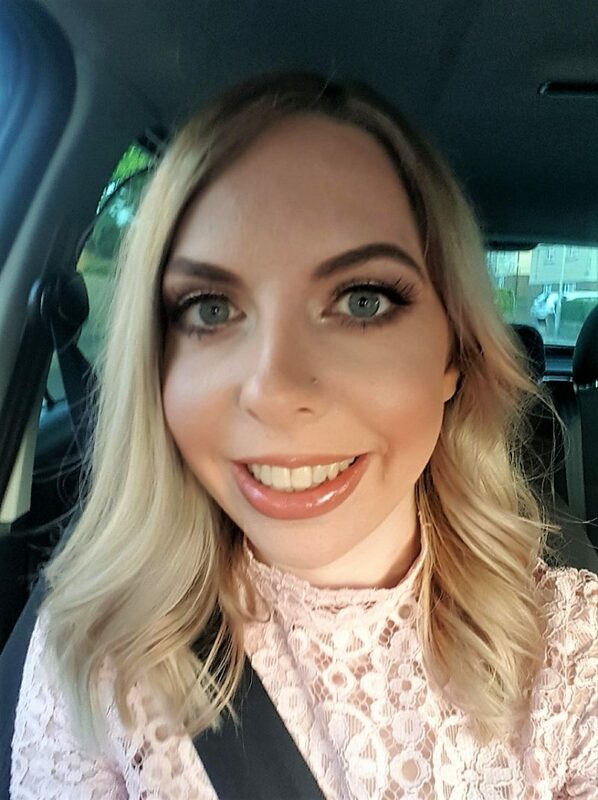 An item was gifted in return for this blog post. If you’ve read my blog or looked at my social media, you’ve probably noticed I like to dress my daughter very much like a child. In a modern world where children grow up too fast, I often notice other toddlers or young children dressed like mini adults. It’s fine if that’s your style, but it just isn’t mine, as I feel like there’s plenty of time for that when she’s older. As such, I like that Spanish clothes, from local boutiques or shops such as La Coqueta, offer a traditional look. Not only that, but it is well known that Spanish clothes for children are beautiful and good quality. I’d seen some beautiful Spanish clothing on babies just walking around shopping in town. However, once I’d given birth to Autumn, I didn’t really think about Spanish clothing for some reason. Then one day, I noticed a boutique in my hometown and popped in for a look. I spent ages in there, just adoring all the sweet little outfits and socks with bows. Naturally I came away with an outfit or two! Since then, I’ve actually discovered that there are at least 2 other boutiques within a 10 mile radius of my home. What’s good about Spanish clothing? The designs of Spanish clothing are just so beautiful. There is often a lot of detail and depending on the brand and item, they may be handmade! For instance, La Coqueta’s smocks are handmade by women using traditional methods which have often been taught and passed down by generation after generation. The designs just look so adorable on children and are different as in the UK you don’t see many children in them. The quality of the clothes is wonderful too, although it varies depending on whether you go for a more entry-level brand or a more expensive one. Some of my most favourite clothing of Autumn’s has been Spanish! These are my top three. 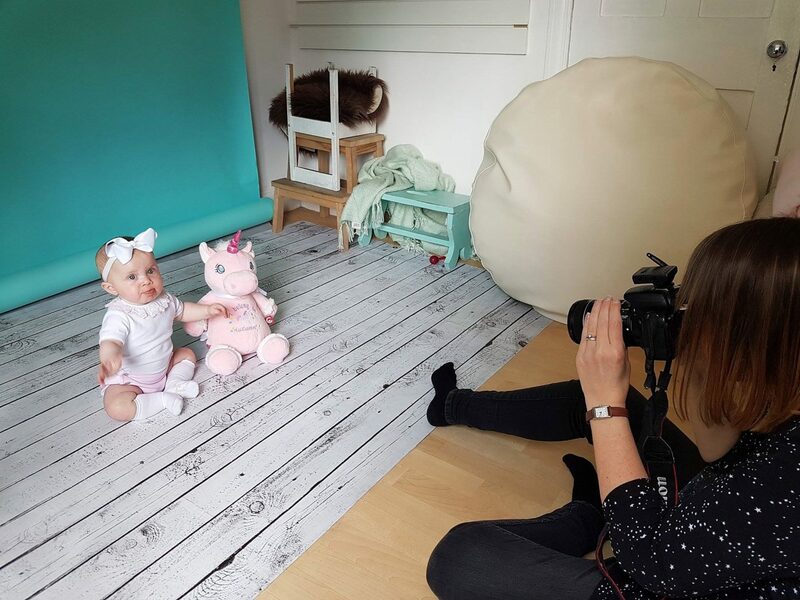 When Autumn was 8 months old, we had an Emma’s Diary photo session at Love Lane Photography in Rochester. I remember deliberating over what outfits to take with us, when I saw this cute textured top with a frilly collar and pink shorts. Paired with white Pretty Originals socks with a bow on the back, it made the most adorable photoshoot outfit. When it was time for Autumn’s christening a few months later, I wanted another cute and special outfit for her. She wore a vintage silk christening gown belonging to her aunt for the service. 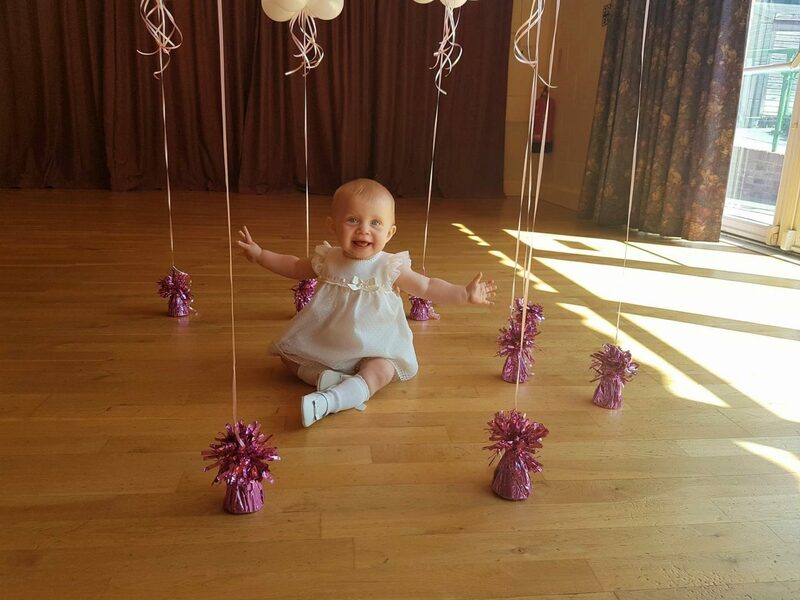 However, it wasn’t practical for crawling around at her party! I found a beautiful ivory set by Granlei, with frilly sleeves and bow details. The dress part is textured and there are matching little shorts underneath. Once again, teamed with her Pretty Originals socks, this outfit was simply adorable on her. It garnered so many compliments, as Spanish clothing always seems to! Last but not least, we were recently sent this beautiful dress by La Coqueta, which looks and feels such beautiful quality. 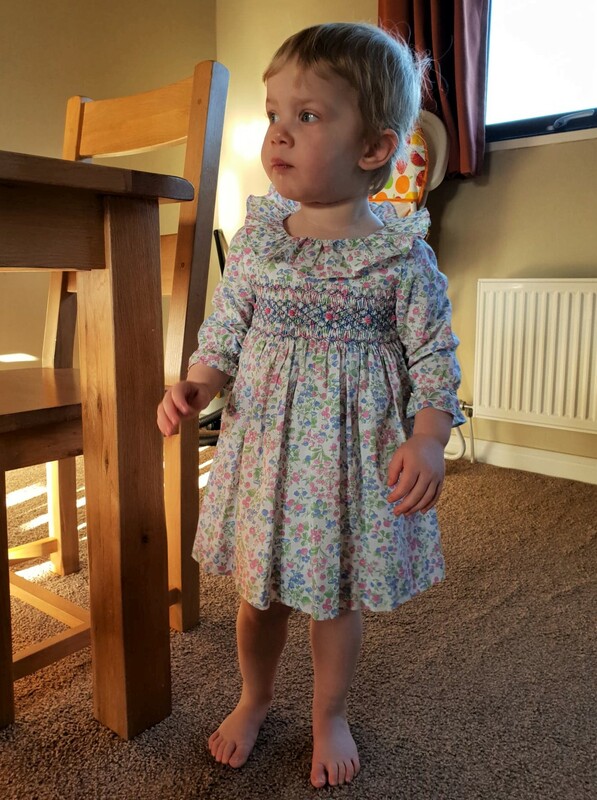 They make such beautiful girls dresses, and this is a much more grown up look for Autumn. I adore the smocking material and it all looks and feels such great quality, even down to the lining. Every detail is just stunning, from the buttons, to the collar, bow and sleeves. Unlike the previous two outfits, this can be worn on a normal day as well as special occasions, which means I get to enjoy it even more! 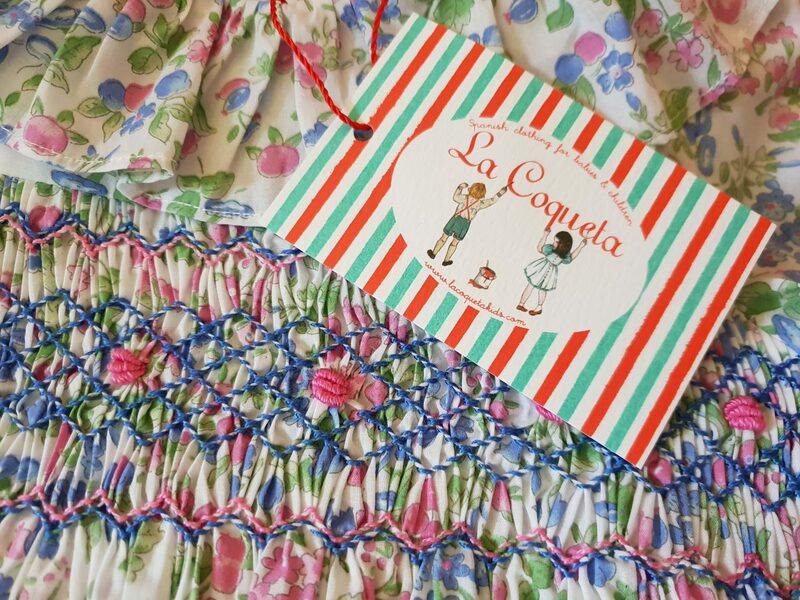 Disclosure: I was gifted a dress from La Coqueta in return for this blog post. As always, all views and opinions are honest and my own.